Your heart will be buzzin' with love for this Personalized Mom T-Shirt. A Personalized Mother’s Day Gift for Mom or Grandma makes the perfect unique gift your Mother or Grandmother will cherish forever. 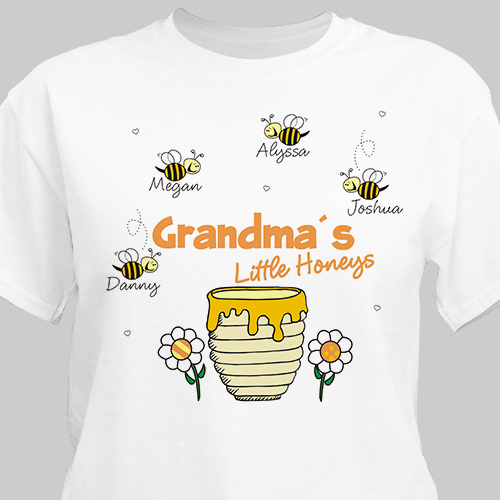 Personalized Grandma T Shirts may be personalized with any title and up to 30 names of children or grandchildren. I love this shirt. My kids and grandkids loved it too. It is exactly as pictured. Just a perfect shirt! Turned out perfect, love it!